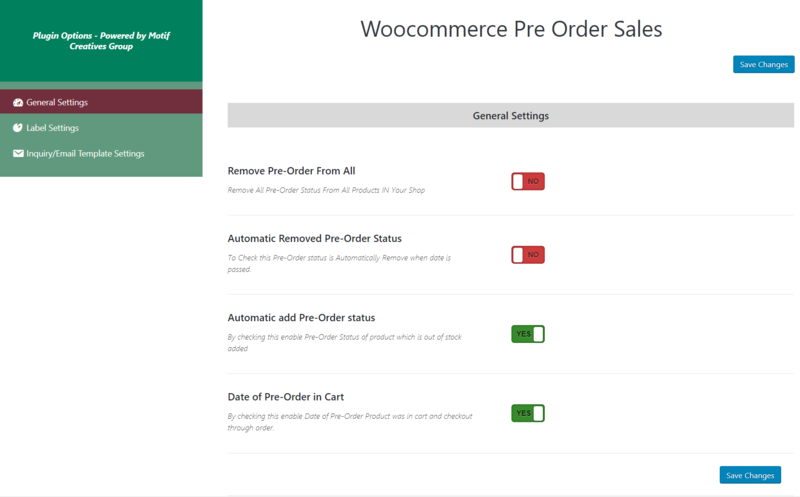 WooCommerce Pre-Order Sales, Bulk Discount & Time Counter you can sell pre-orders for products and services in your WooCommerce store with few clicks. 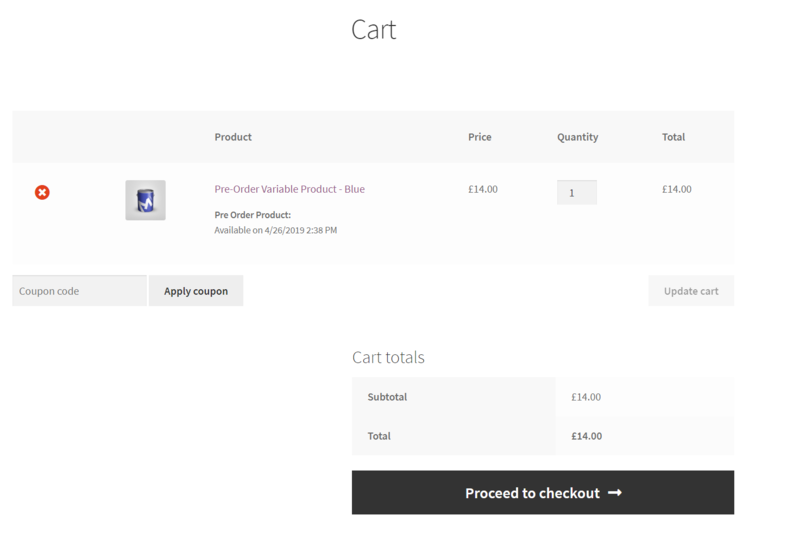 WooCommerce Pre-Order Sales, Bulk Discount & Time Counter can be charged upfront or when the pre-order products is available by setting products and services optional date and time you can add the pre-orders from your store not this only you can add discount for pre-order specify your our price rather than adding the default WooCommerce pricing. 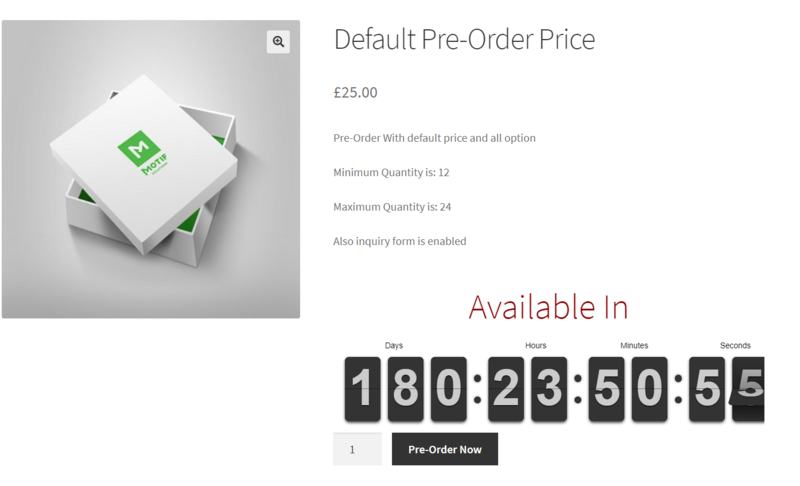 WooCommerce Pre-Order Sales, Bulk Discount & Time Counterr is fully customization and support both pre-orders charged up front and upon release. 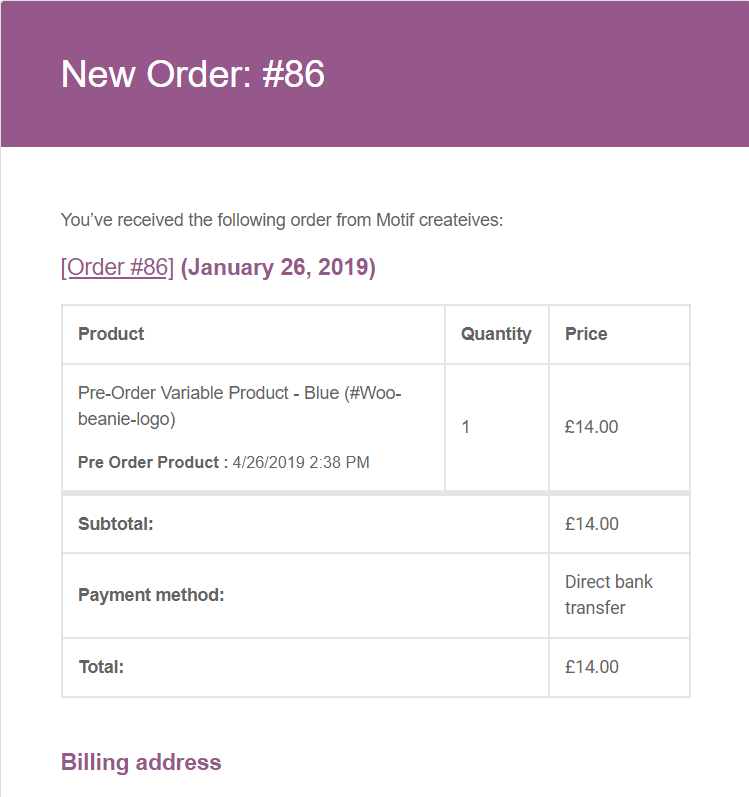 WooCommerce Pre-Order Sales, Bulk Discount & Time Counter is the best solution to increase your sales and don’t allow customer you leave your shop without ordering any product. Full customization options for inquiry form, Custom logo upload option, text, colors etc. 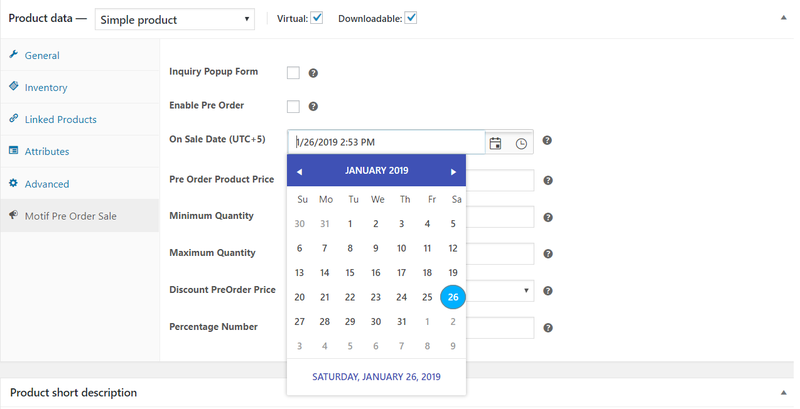 1) To configure the Pre-Order Product you must set all the fields below Check the box with Enable Pre-Order Product and set all the necessary fields according to your requirements. 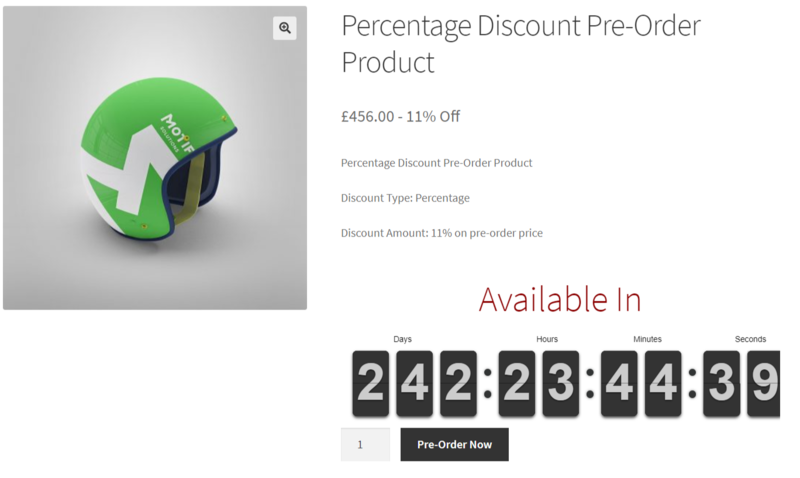 2) To Set the Discount type you must choose the Fixed Or Percentage discount from product page. 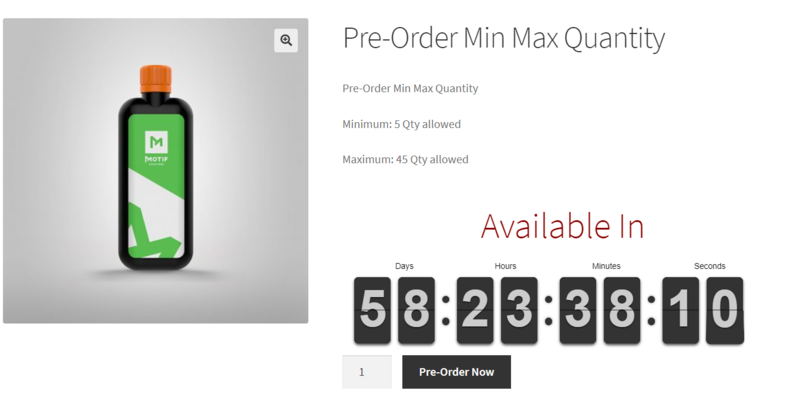 3) Single Product page view how it looks like when you enable the minimum/maximum quantity with the product timer (counter). With Minimum & Maximum Quantity Base Product.! 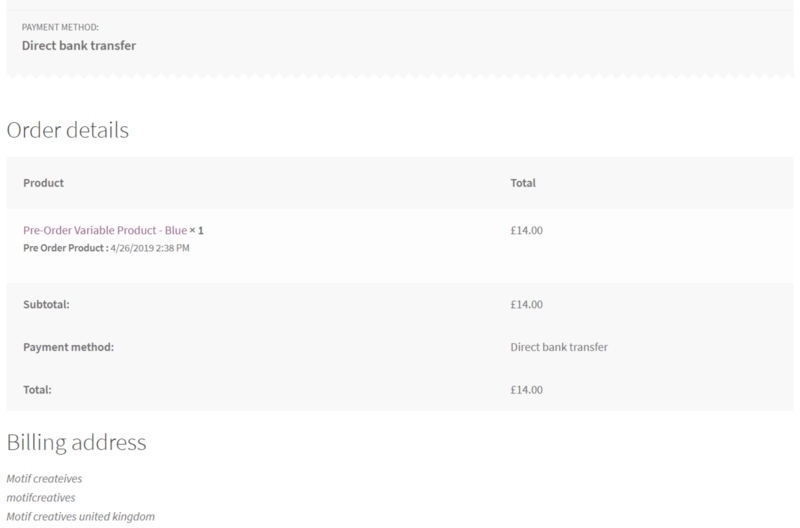 4) Pre-Order Product Mini Cart View with the date. 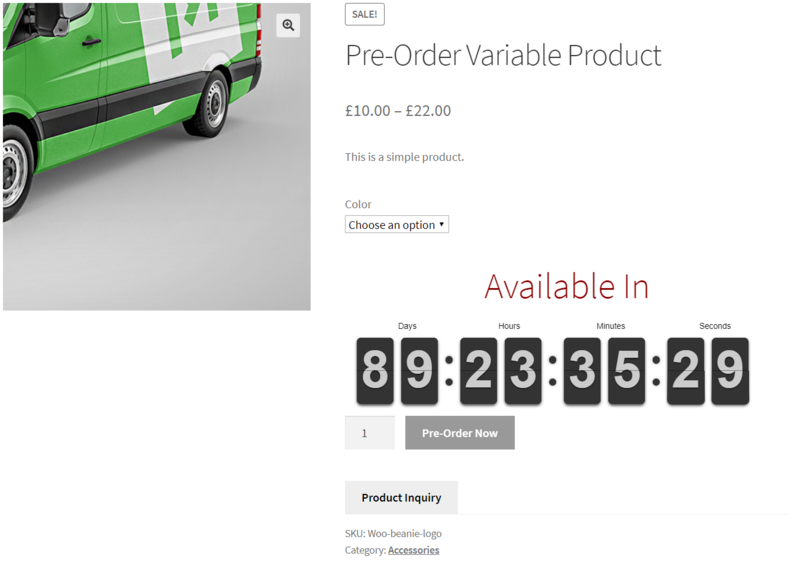 5) Pre-Order Product Cart View with the date. 6) Pre-Order Product With fixed discount price. 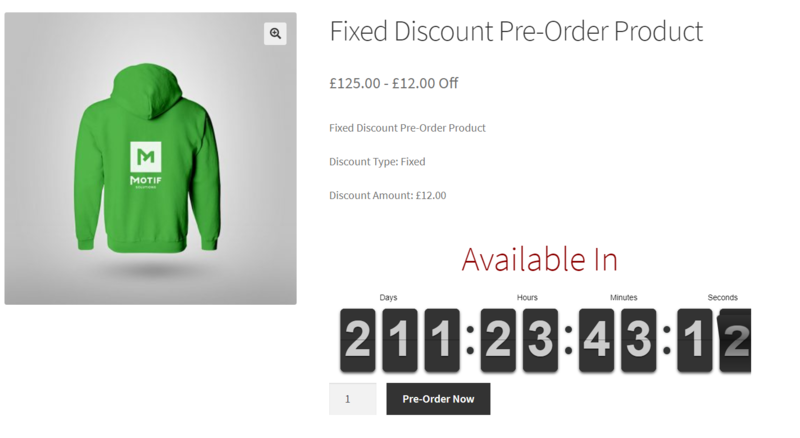 7) Pre-Order Product With percentage discount price. 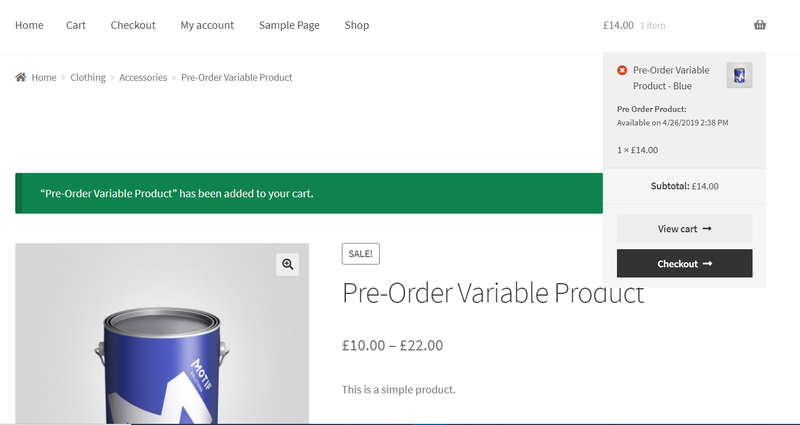 8 ) Now you can see the Pre-Order Product support with variable product type. 9) Pre-Order Product Email when someone buy the product. 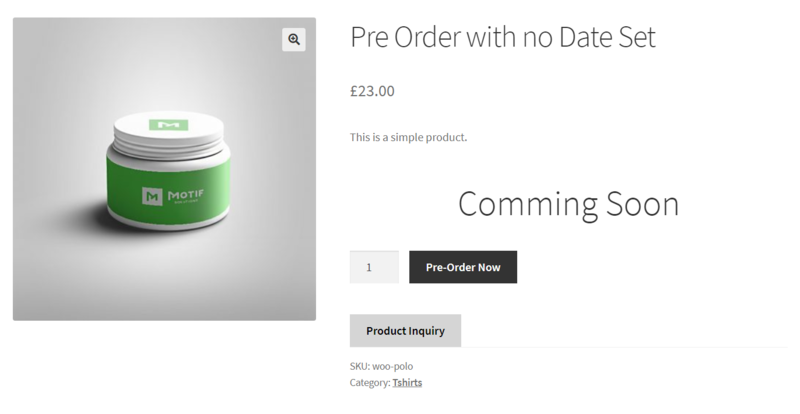 10) Product Inquiry Email Template view when customer send inquiry about Pre-Order Products. When No Date is set by admin.! Popup settings and some js issues fixed.